Only Merz Spezial Hair Capsules contain L–cystine and a cereal mix (oat, millet and spelt) – important raw materials for the growth of thick, strong hair. In summary, Merz Spezial Hair Capsules provide everything you need to support the growth of thick, strong hair. I ordered the product for the second time because I noticed that my hair was finally growing. They have a beautiful shine and look healthier overall. I also believe that the hair breakage and the brittle tips improve, so I want to continue the treatment. 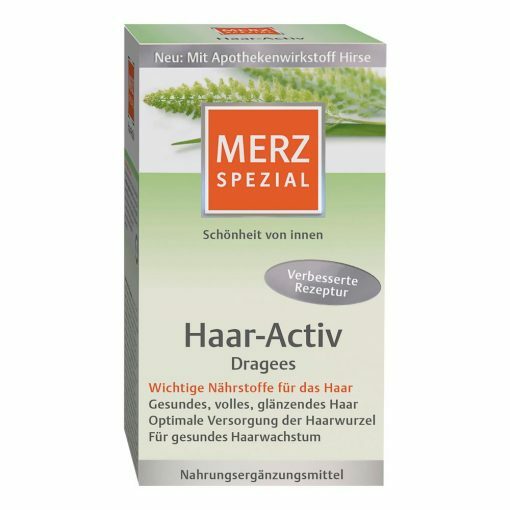 I have already taken many other products, but have never achieved such an effect as with Merz Special Hair-Active.